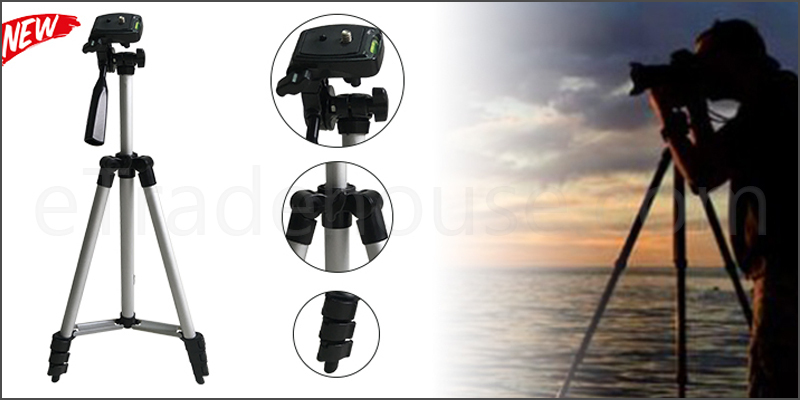 This tripod stand is compatible with all Digital/Video Cameras Camcorders including SLR and Mobile Smart Phones weighing up to 2.5kg. Portable, ideal for outdoor, travel and timer shoots. Compatible with all Kinds of Digital Cameras and Camcorder Weights Below 2.5KG. 360 horizontal and 90 vertical swivel with 3-way head. With grip for adjusting head position. Head type: 360? swivel fluid head.